Cara-Cara Pink Navel Oranges... Looking for something unique and special for the ultimate citrus lover? Cara Cara Navels just might do the trick! 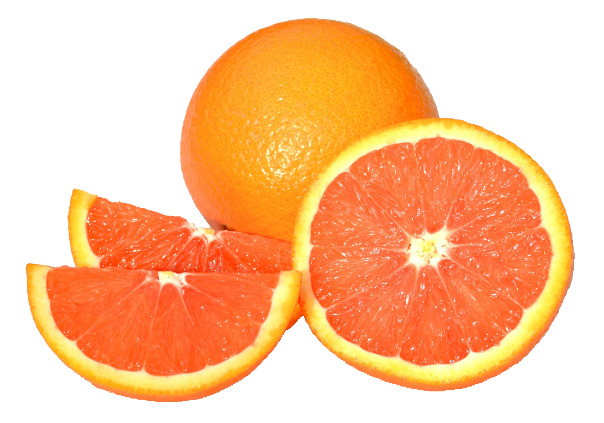 The outside looks just like an orange...however hidden inside, the Cara Cara has a surprisingly delightful "rosy-pink" color, but still has the same awesome flavor of California Navel Oranges that everyone loves! So where did Cara Caras come from? First discovered in 1976 at a place called "Hacienda Cara Cara" in of all places Valencia, Venezuela, Caras are a cross between the Washington navel and the Brazilian Bahia navel. And with their unique blend of color and flavor, it's no secret that Cara Cara's are becoming the new "FACE" of Specialty Citrus. When are Cara Cara Navels available? Cara Cara Navels have a rather short harvesting season. They are typically available from JANUARY thru APRIL. Due to their limited quantities and short season, annual market pricing will also vary from season to season. Please call Pearson Ranch at 1-888-667-2643 to check on availability! How many pounds of Cara Caras do I get in a box? Pearson Ranch sells it's Cara Cara Navels in 10 pound Quantities.